All of the laminate flooring available for our customers at Flooring King have an exclusive surface for durable wear that protect you against awful things like scratches, spills, scrapes, stains, and even fading over time or acute circumstance. No matter what type of flooring you do have installed, including all of our laminate flooring, this special wear surface actually improves the ease of cleaning of your floors. 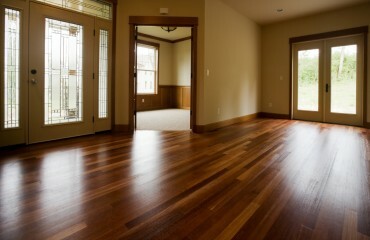 What are some of the best tips for cleaning your laminate floors? Whether you’re a new customer of freshly installed laminate flooring from here at The Flooring King or you’ve got your own laminate flooring you are working with, there is likely the same amount of suggested care and procedure for taking the best care of your floor, its sheen, your routine, and definitely its longevity. Make a routine out of doing regular cleaning. 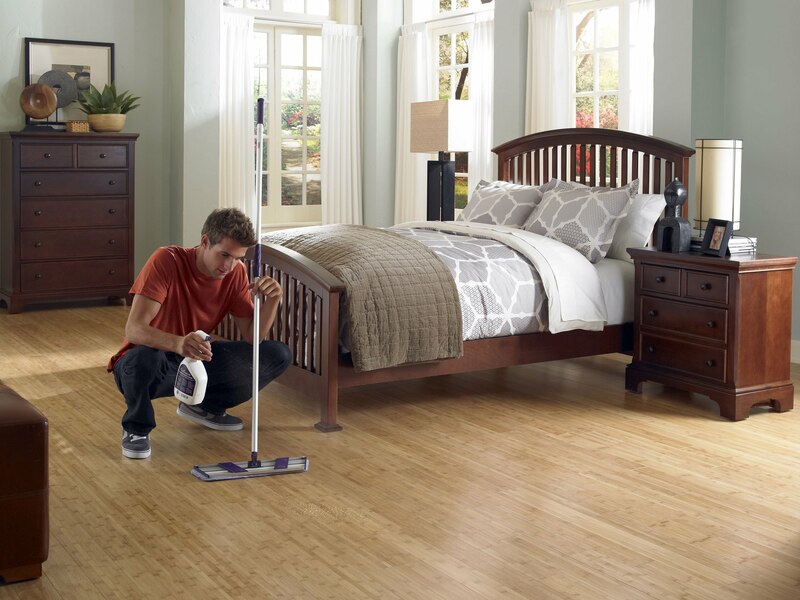 In order to take care of your flooring best for the longest lifespan, you’re going to want to invest time into regularly dusting, mopping, or vacuuming your laminate flooring. 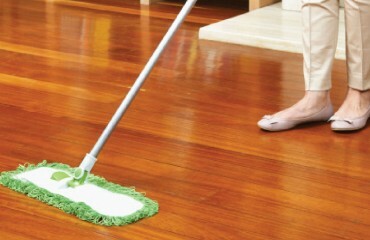 You should either use a soft brush or wood floor attachment. Another option is using a damp mop for spot cleaning, but not too wet, just slightly damp. Also make time for the occasional thorough cleaning. Whether you decide to do this weekly, monthly, or quarterly, making sure you do a light mopping of your floor with a well-squeezed mop can actually offer a very thorough cleaning, especially when it comes to hardwood and laminate floor cleaning. Try avoiding harsh soap-based detergents or what you might call “mop and shine” type of products. These kinds of poor quality cleaners aren’t a fit for your laminate floor. You could easily risk developing a dull film layer on the surface of your floor when using soap-based or poor products for floor cleaning. At Flooring King, we provide a vast and wide variety of colors and styles of laminate flooring products available based on the lifestyle and flooring standards afforded by residential and commercial clients throughout Miami, Fort Lauderdale, Hollywood, Palm Beach and Dania, Florida.